What would pop art be without Andy Warhol? Would the world have pop art as we know it if there were no Andy Warhol? Existential questions and dilemas would have thrilled the artist, director, and producer who came from humble upbringings in Pittsburgh, PA. Known as Andrew Warhola to few and Andy Warhol by the rest of the world, the once in a generation artist experienced many ailments as a child. A nervous system disease in the third grade and a following fear of doctors and hospitals made Andy an outcast among his peers. In this time he bonded with his mother, who was herself a gifted artist, and she gave him his first drawing lessons. Spending a lot of time bedridden, he would occupy himself by drawing or listening to the radio. Tragedy continued to follow Andy Warhol, and when he was 13, his father died in an accident. In addition to loss and childhood disease, Warhol experienced the effects of the Great Depression and a nation being thrust into the global sphere during World War II. “The average man worried about protecting his interests at home from Fascists, Communists and atomic bombs. It was an atmosphere of conformity and insecurity.” Through all this, the unique artist inside of him endured, and he became the only member of his family to attend college. Though initially Warhol had planned to become an art teacher and study at the University of Pittsburgh, something changed his mind and he enrolled in the Carnegie Institute of Technology, now known as Carnegie Melon University. After graduating college, Andy Warhol moved with some friends to New York and secured various commercial artist gigs at prestigious magazines such as Vogue, The New Yorker and Harper’s Bazaar. He had a very successful career as an advertising illustrator. 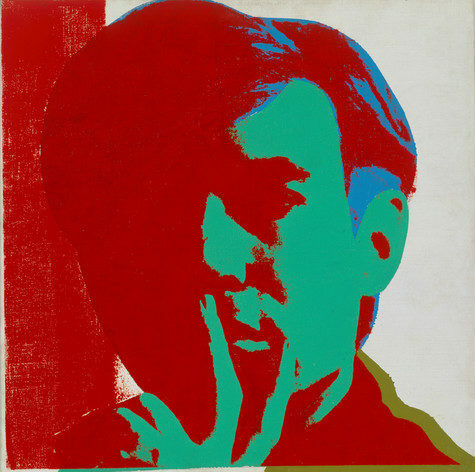 During the 60s and 70s, Warhol’s work would go hand in hand with pop art around the country. His paintings of every day items such as vacuums, Coca Cola bottles and cans of soup. His silk screens and celebrity portraits gained him even more notoriety. The 60’s saw much success for Warhol. His first West Coast pop art exhibition was in LA in 1962 followed a few months later by his first solo exhibition in New York City at Eleanor Ward’s Stable Gallery. One of his most famous creations was his art studio, “The Factory.” Having 3 different location in New York City between 1962 and 1984, the silver painted walls and The Factory became a haven for artists, musicians, groupies and druggies. Warhol survived a gunshot wound from a former colleague, though he had to wear a surgical corset for the remainder of his life. Andy Warhol died from complications after a gall bladder surgery on February 22, 1987. His funeral was attended by thousands and he was buried next to his parents. The Andy Warhol Museum and EarthCam collaborated to create a 24 hour live feed of his grave, that can be viewed here. America’s premier waterfront art festival is this weekend in Sausalito! There will be an art competition, music, food and wine for all to enjoy. The festival run from September 2-4. For more information and to get tickets, click here! Art Attack is a fun and interactive art studio in the SF Bay Area that provides instruction in the fine arts to children, teens and adults. Art Attack offers affordable fun kids and adult art classes year round to the residents of the San Francisco Bay Area. We have art classes for kids ages 5 and up with after school and weekend classes, as well as teen and adult art classes Monday through Saturday. Looking for a place to have a fun and unique party? Art Attack Burlingame also has Arty Parties which are perfect for any occasion: birthdays, showers, girl’s night out and even office team building!